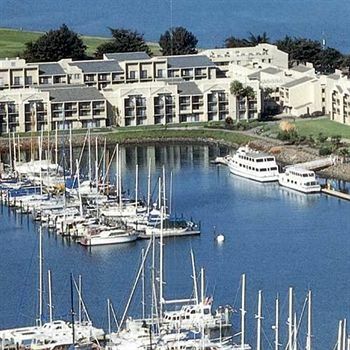 We'll be convening at the only hotel on the Berkeley Marina, a convenient and intimate venue with expansive views of San Francisco Bay and accessibility to everything the Bay Area has to offer. The Gathering will have the run of the hotel and amenities, ensuring a private, safe environment. Immediate access to hiking, jogging and biking trails at Cesar Chavez Park. Accessible to San Francisco by ferry. *Confluence does not have reduced rates at any other hotels. San Francisco's vibrant East Bay is host to miles of scenic coastline, a world class university, redwood forest parks, a robust arts community and a world-famous culinary scene. It is also a focal point at the intersection of corporate growth, technological development, social justice, civic identity and wealth disparity. The East Bay is an ever-evolving experiment in disruption.